Google adds games to it's social network, LinkedIn updates its privacy settings to allow for the use of your likeness in its advertisements, and Facebook updates the ordering of your friends in the chat bar. Three of the five fake Apple stores in Kunming, China, were allowed to stay open because they had the right business permits, but what's the fate of these 22 extra stores just discovered in the same city? It doesn't look good for them, as the Chinese Administration for Industry and Commerce has told them to cease using the Apple logo, and a telephone hotline for complaints has been set up so customers can whinge about how tricked they feel. There's a fine debate going on as we speak about Dell's back-to-school consumer laptops, but personally, we've always had a soft spot for Dell's small business-focused Vostro line. The outfit's just announced a new addition to the lineup, the 13.3-inch V131, and while it doesn't look that different from the last-gen V130, it offers all the spec bumps you'd expect from a laptop announced in mid-2011. With this generation, you get Sandy Bridge Core i3 and i5 processor options, two USB 3.0 ports and a user-replaceable six-cell battery that promises up to 9.5 hours of juice. If you wanted, you could add up to a 320GB 7200RPM hard drive, which we suspect might not be enough storage space for some folks. 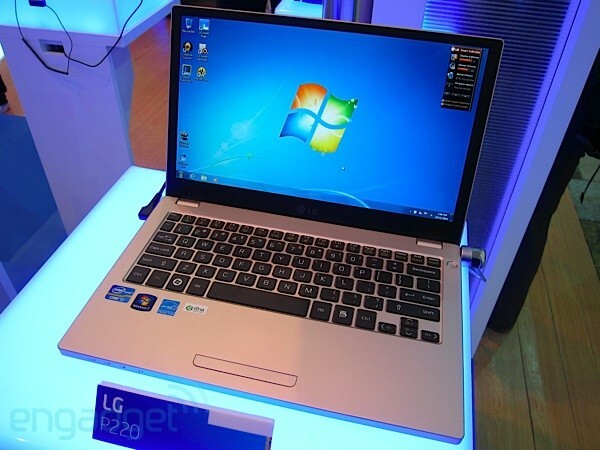 The resolution, meanwhile, is 1366 x 768 -- typical for budget notebooks. Like we said, the design isn't anything ground-breaking, but Dell did move to a chiclet layout for the keyboard, which you can configure with backlighting if you're so inclined. We're not going to lie, that $499 starting price at the source link seems tempting, given the good-looking mag-alloy chassis and those twin USB 3.0 sockets, though you'll have to pay an extra hundred bucks to step up from the base dual-core Celeron processor. Fancy schmancy product shots below, and full PR after the break. 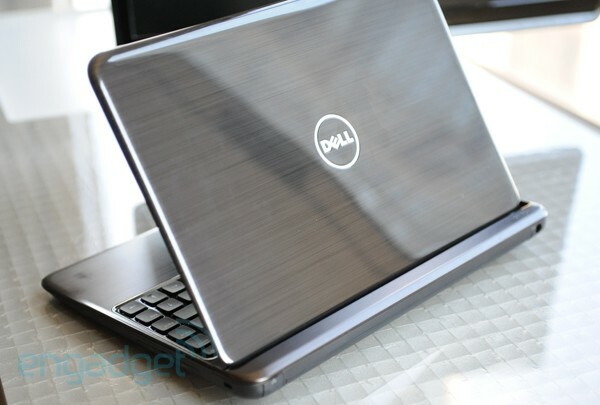 Dell announces Vostro V131 with USB 3.0, Core i3 and i5 CPUs and a chiclet keyboard originally appeared on Engadget on Thu, 11 Aug 2011 14:40:00 EDT. Please see our terms for use of feeds. 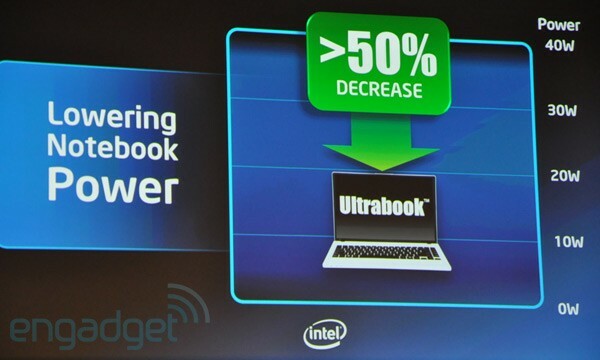 Intel Capital has stumped up $300 million to "drive innovation" in the burgeoning Ultrabook market. The cash will go to projects that refine user interaction (hint: more touchscreens), reduce power consumption and create devices no thicker than 21mm (0.8-inches). Intel is clearly hoping to lure back all those customers who have ditched laptops for tablets by undercutting the popular Samsung Series 9 and Macbook Air. The company's new mantra? "Nothing tastes as good as skinny feels". Intel Ultrabooks get $300 million investment fund, prep for low-carb diet originally appeared on Engadget on Thu, 11 Aug 2011 16:22:00 EDT. Please see our terms for use of feeds. Ready to get hands-on in the danger zone -- from afar? That's precisely what an enterprising team of University of Massachusetts Lowell researchers are working to achieve with a little Redmond-supplied assistance. The Robotics Lab project, dubbed the Dynamically Resizing Ergonomic and Multi-touch (DREAM) Controller, makes use of Microsoft's Surface and Robotics Developer Studio to deploy and coordinate gesture-controlled search-and-rescue bots for potentially hazardous emergency response situations. 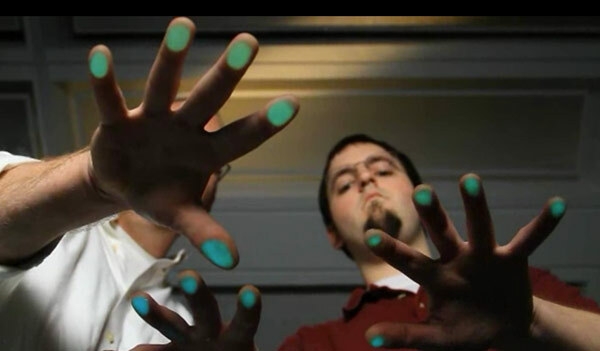 Developed by Prof. Holly Yanco and Mark Micire, the tech's Natural User Interface maps a virtual joystick to a user's fingertips, delegating movement control to one hand and vision to the other -- much like an Xbox controller. The project's been under development for some time, having already aided rescue efforts during Hurricane Katrina, and with future refinements, could sufficiently lower the element of risk for first responders. Head past the break for a video demonstration of this life-saving research. Microsoft Surface-controlled robots to boldly go where rescuers have gone before (video) originally appeared on Engadget on Thu, 11 Aug 2011 18:02:00 EDT. Please see our terms for use of feeds. GPS, a 16 megapixel CMOS sensor, 15x optical zoom -- we've seen it all before. But a feature that displays places of interest on the camera's 3-inch LCD? Well, that sounds a bit like augmented reality (AR)! 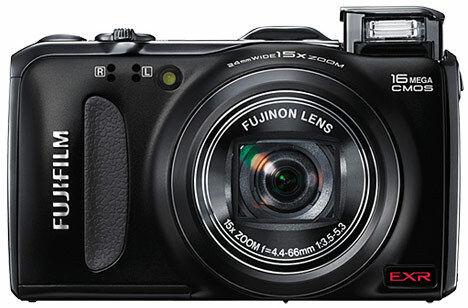 The Fujifilm FinePix F600 EXR's new Landmark Navigator mode does exactly that, packing one million pre-loaded locations from around the world. Looking to find your way from Rome's Trevi Fountain to the Spanish Steps? The compact cam will point the way, including other stops along your route. You can also add your own locations, or launch Photo Navigation, which lets you easily return to places you've photographed -- or plot them on Google Maps once you get home. There's also 1080p movie capture, a 12,800 ISO high-sensitivity mode (that you'll probably never want to use), sensor-shift image stabilization, and a 24-360mm lens with an f/3.5 maximum aperture. But as you may have guessed, we're most excited about those AR features, so jump past the break for the full scoop. Fujifilm FinePix F600EXR packs photo navigation, augmented reality in a 16 MP digicam originally appeared on Engadget on Thu, 11 Aug 2011 19:48:00 EDT. Please see our terms for use of feeds. The Internationale Automobil-Ausstellung (IAA) Frankfurt looms on the horizon, meaning its time for another round of bodacious concept cars we want, but sadly can never have. We've already seen BMW's entry and now it's Audi's turn to show off an electric city-dweller. Dubbed the "Urban Concept," this latest e-tron is made of carbon fiber reinforced plastic and wields a door contraption that'll put Lambos to shame -- assuming it ever makes it to market. And it just might, seeing as our friends over at Autoblog caught it slumming around Berlin in prototype garb. We'll hear more from Ingolstadt come September, but in the meantime more sketches and snaps of the development mule await you at the source links below. Audi's Urban Concept heads to IAA Frankfurt, tickles our EV sensibilities originally appeared on Engadget on Thu, 11 Aug 2011 20:12:00 EDT. Please see our terms for use of feeds. For most of us, the decision to move to flash-based storage has been one wrought with compromise: suffer through a year of ramen to afford a capacious SSD, or splurge on steak and settle for a cramped one. 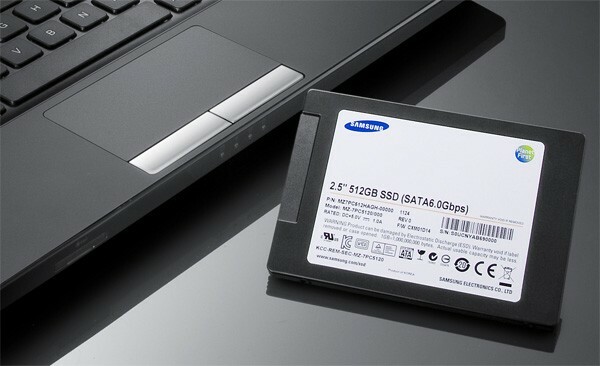 While we await our platterless future, Samsung keeps on chuggin', having just begun volume production of a speedier line of solid state drives it calls the PM830. Available in 128, 256 or 512GB flavors, they tout 20nm-class MLC NAND flash and SATA 6Gb/s support -- which equates to 500MB/s reads and 350MB/s writes, or almost double last year's model. Before you reach for the plastic, know that the line is available only to OEMs -- you know, computer manufacturers -- with the firm promising consumer-friendly goodies for all you DIY types soon. Of course, no word on when that'll be or how much they'll cost, but at least the PR after the break's free, right? Samsung's speedy 6Gbps SSDs shreds bits, blows minds originally appeared on Engadget on Fri, 12 Aug 2011 02:57:00 EDT. Please see our terms for use of feeds. If you were impressed by CompuLab's Trim Slice that was released a few months back, wait'll you get a load of the new model that's on its way. Available near the end of August, the new diminutive desktop will be powered by NVDIA's Tegra 2 SoC like its elder sibling. In order to differentiate itself from the previous release, this build incorporates an accessible SATA hard disk bay, so that "ARM users are no longer deprived of choice when it comes to storage." Sounds great, right? You'll also be able to choose between two models. 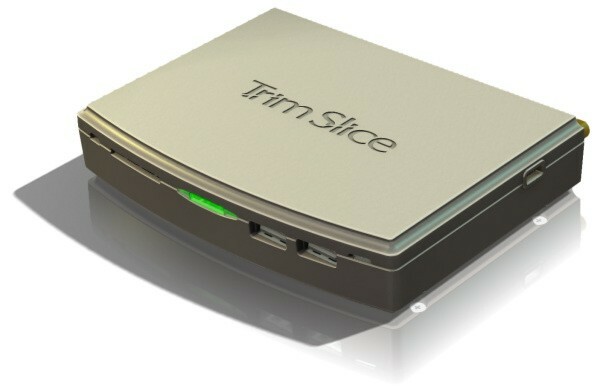 The Trim Slice H Diskless will allow you to add your own HDD or SSD for $279, while the $319 H250 comes with Linux pre-installed on a 250GB HDD. Both of these beasts will showcase 1GHz chips, 1GB RAM, HDMI and DVI ports, Gigabit Ethernet, built-in 802.11n WiFi, 4 USB ports, 2 SD slots, an RS232 serial port and USB Bluetooth adapter. Whew... while we catch our breath, scope out the pics in the gallery, and check the full PR below. CompuLab introduces Trim Slice H mini Tegra 2 computer, keeps desks clear of PC clutter originally appeared on Engadget on Fri, 12 Aug 2011 04:04:00 EDT. Please see our terms for use of feeds. We didn't have a great deal of info about this ultraportable when we went hands-on at Computex 2011, but we knew we liked its thin bezel and Air-like (though plastic) design. LG has now revealed the final specs and also announced it'll launch the P220 in Korea this month and in Europe shortly afterwards. The Core i7 that powered the model we saw previously has been switched out for a Core i5, but unfortunately this doesn't seem to have done a great deal for battery life, which LG says is around the 5.5-hour mark. In terms of ports, there's nothing faster than USB 2.0, and the color range will put some people off too: white pearl, pink pearl or blue pearl, and definitely no lobster red. There is some good news though: that slimline bezel surrounds a full 12.5-inch IPS widescreen display despite the smaller chasis, with a claimed viewing arc of 178-degrees. Crucially, weight comes in at just under three pounds and the waistline is a mere 0.82-inches. LG hasn't revealed pricing yet, but the company will need to keep a close eye on the forthcoming Ultrabook range if it's to stand a fighting chance. LG P220 ultraportable specs and shipping date revealed, still no price tag originally appeared on Engadget on Fri, 12 Aug 2011 06:29:00 EDT. Please see our terms for use of feeds. A guy named Ben Wu sent us this video recently and it sort of blew our minds. Wu, an engineer and self-described dreamer, has spent the past year developing a program he calls Quantum Phantom -- an Iron Man-inspired system that allows users to control a computer's cursor using only an ordinary webcam. 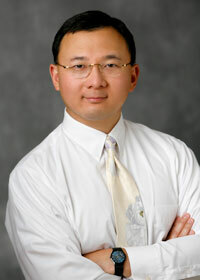 With his Windows software onboard, Wu can draw, write and move onscreen icons or widgets, simply by waving his camera in front of a set of dual monitors. 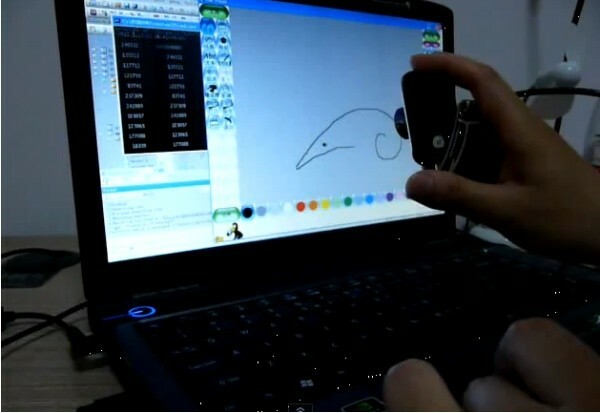 The prototype is even sophisticated enough to recognize his own webcam-produced handwriting and automatically convert it to rich text. In most cases, the sensor relies upon an ordinary cursor to navigate a screen, but Wu has also developed a pointer-free solution, as demonstrated toward the end of the above, three-part video. Be sure to check it out for yourself and get lost in the magic. Quantum Phantom prototype lets you control your computer screen with a webcam (video) originally appeared on Engadget on Fri, 12 Aug 2011 08:53:00 EDT. Please see our terms for use of feeds. Heat exchanger technology--the cooling machinery that ferries internal heat away from your PC, your computer, your air conditioner, and other appliances--hasn't changed too terribly much for decades. That's led to some limiting problems: For instance, more powerful computer chips can't be run at their full potential because they might overheat. But a new kind of heat sink developed at Sandia National Labs could change all that--and potentially shave seven percent off US electricity consumption. Conventional heat exchangers have a few primary components: a solid disk or plate that absorbs heat from the source (like a computer's processor), a bank of metal fins that help ferry the heat away from that disk (the heat sink), and a fan that stirs up the air around the fins to facilitate the outward movement of heat. This design is pretty standard, and hasn't changed much in half a century. Moreover, it's fraught with inefficiencies, most glaring perhaps being the fact that only about five percent of the energy produced by the fan produces a cooling effect. A layer of stagnant air tends to cling to the fins of the heat sink, insulating them to the flow of air around them and retaining heat. Driving the fan at faster rates helps some, but it's also noisy--making our appliances and computers more obtrusive and annoying. The Sandia design overcomes this problem by combining the heat sink (the finned surface) and the fan into a single component that sits atop the solid disk, separated from it by a thin cushion of air. This approach improves upon several shorcomings in the conventional design, but primarily it gets right at the problem of that insulating boundary layer of air. By rotating the Air Bearing Heat Exchanger (as it is known) at high RPM, the centrifugal forces reduce that boundary layer by something like a factor of ten. That allows it to move much more heat more quickly and with less energy expended than a conventional cooler. Which in turn means a computer processor can generate more heat without overheating. Which means it can conduct more operations at higher speeds. Extrapolate this to to refrigerators, air conditioners, etc. across the entire United States. Jeff Koplow, the Sandia researcher behind the redesigned heat sink, thinks it could cut the national electricity consumption by seven percent while allowing processing power to run free, unrestrained by heat limitations. The grittier details are here (PDF). 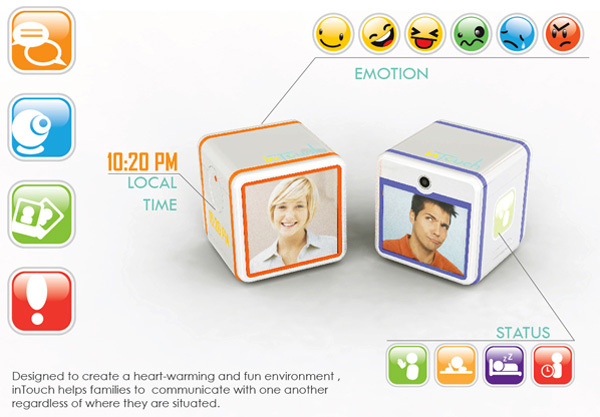 inTouch is an interactive cube with inbuilt camera, display and connectivity. 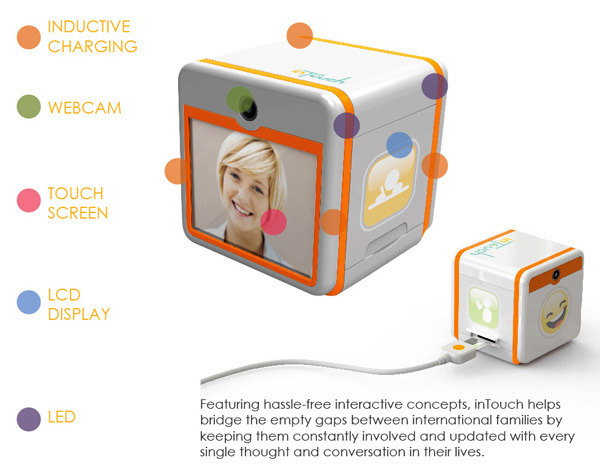 More like the baby monitor, but in a grown-up version, to stay in touch with family and friends while you are away in college. The fun and playful design makes it easy to access and is quite intuitive as modular networking cubes. 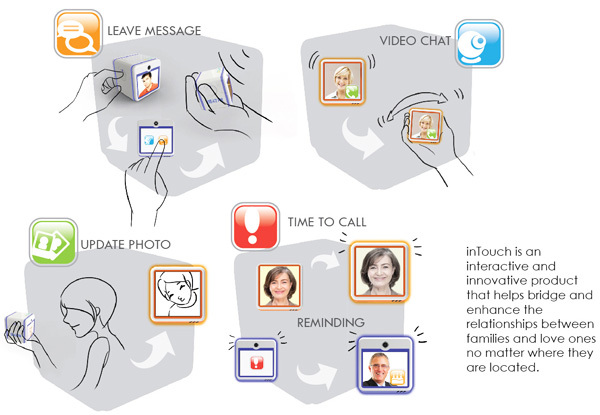 inTouch is a 2011 IDEA Awards entry. Can you blame Dell for deciding its laptops needed a makeover? After suffering some serious market share losses and earning a reputation for bland designs and questionable customer service, we can see why the company would be keen on revamping its lineup as a way of distancing itself from its not-so-sunny rap. 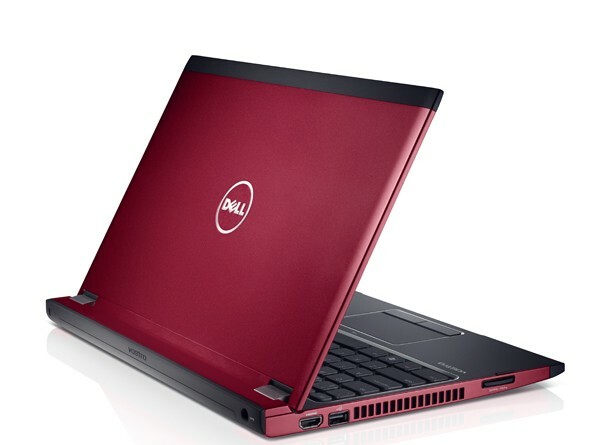 That seems to be precisely what the outfit's doing with the Inspiron 13z and 14z, which Dell unveiled today. Both laptops move to aluminum lids and palm rests, available in a small (and fairly toned-down) color selection, with black and red being your only choices. The two have also whittled to under an inch thick, with the beefier 14z leaving enough room for an optical drive. Not surprisingly, the resolution's 1366 x 768 -- precisely what you'd expect in a $600 laptop. Also predictable: this generation of Inspirons offers USB 3.0 and Sandy Bridge, with a choice of Core i3 and Core i5 processors. Both models start at $599.99, with the 14z available in the states today, and the 13z launching in "select" Asian countries. Curious? We've got a handful of hands-on shots below and the full PR after the break. Dell intros slimmed-down Inspiron 13z and 14z laptops with aluminum lids, USB 3.0 originally appeared on Engadget on Thu, 11 Aug 2011 09:56:00 EDT. Please see our terms for use of feeds. When buying a new HDTV, the first thing you should settle on is where in your room the set should go. Webapp TV Size Matters can help: upload a photo of the room where the TV will go, set a standard scale, and the service lets you try different-sized TVs for size to see how they fit. The webapp gets a feel for scale by asking you to draw a line on your uploaded photo and tell it how large that line is in real life. From there, the service understands how large or small to display different sized sets on your wall or entertainment center, so you can see how they'll realistically look when they're in your home. For many people, there's only one logical place in their room for their TV to go, but if you have the option of wall-mounting or you want to see whether your space can handle a larger display, TV Size Matters is worth a look. It probably helps to be a child, but in all honesty these Sifteo cubes look like so much fun, I'd definitely fiddle with them while procrastinating/waiting for pages to load. With NFC sensors and accelerometers, they can detect the presence of other cubes plus any movement you may make. 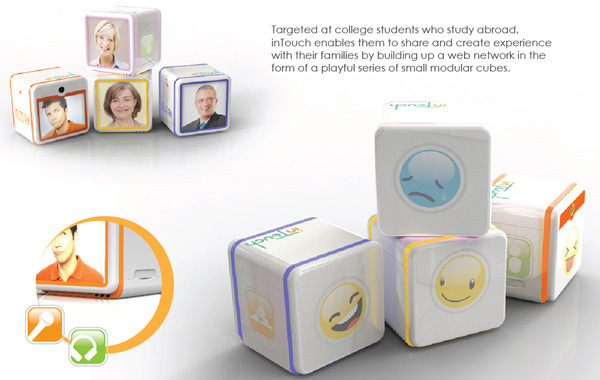 The set of three cubes comes with a USB dongle that can be plugged into computers, where a free Siftrunner app runs that controls the mini games and puzzles on the cubes. Unfortunately there's no audio from the cubes, but if you crank your laptop's volume up, you'll have a soundtrack for your kid's playtime...or yours. Sifteo Cubes up for pre-order tonight, gaming gets tangibly-cute this September originally appeared on Engadget on Wed, 10 Aug 2011 19:21:00 EDT. Please see our terms for use of feeds. Verizon's made good on its promise to open an Application Innovation Center in San Francisco, and kindly invited us down to have a gander. It's much like its sister facility in Boston, except it eschews the LTE focus for one on mobile-app innovation. Developers both big and small will be able to take advantage of several labs, where they'll be privy to Verizon equipment and services "not available elsewhere," all while being a stone's throw from Big Red's in-house engineers and developers. 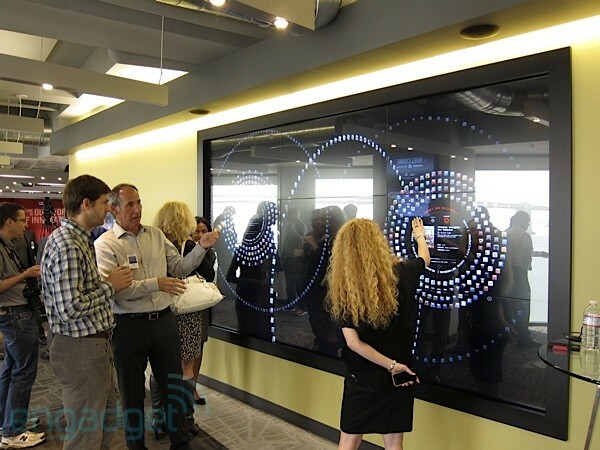 On hand was Qualcomm, whose MDPs garnished the test lab, and Chomp, whose app-search tech powered an impressive nine pane multi-touch App Wall -- allowing one to find and explore apps, replete with informative videos and QR codes for each. Want to know more? Check the gallery, videos and PR after the break. Verizon opens Application Innovation Center in San Francisco, we go eyes-on (video) originally appeared on Engadget on Wed, 10 Aug 2011 20:17:00 EDT. Please see our terms for use of feeds.